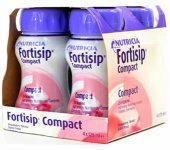 Fortisip can be used as a sole source of nutrition in patients over 6 years old, but is best advised to be added to, if possible, some sort of food diet. 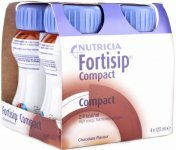 Fortisip is a nutritionally complete formula containing essential vitamins and minerals aiding in the support of a healthy immune system, which is vital during times of disease related malnutrition, and loss of weight in general, as many of the essential vitamin and minerals that would usually be obtained from the food will no longer be gained from the diet. 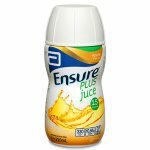 Oral nutritional supplements contain energy (calories), protein, vitamins and minerals. 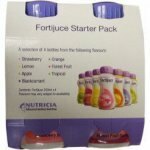 They are specially designed for people who may not be able to eat enough food to meet their body's daily needs for energy and nutrients because of illness. 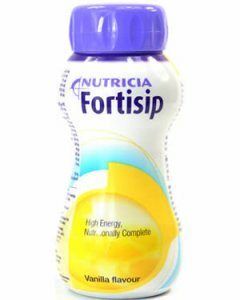 Most oral nutritional supplements are flavoured liquid drinks (such as fortisip drinks); they are sometimes called 'sip feeds' because people tend to sip them. 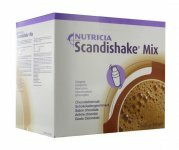 Oral nutritional supplements also come as powders that are made up into drinks or are added to drinks or foods like tea, coffee, custard and cereal. 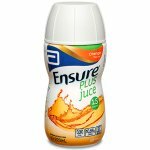 There are also some dessert-style or soup style oral nutritional supplements. The idea is to have a range of tastes and textures so that everyone who needs them can find something they like. Store in a cool, dry place (5-25°C). 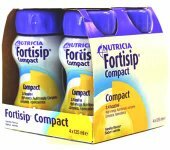 Once opened Fortisip Multi Fibre should be consumed within 4 hours or stored in a refrigerator for up to 24 hours. Discard unused contents thereafter. 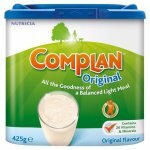 Not suitable for use as a sole source of nutrition in children under 6 years of age. Not suitable for patients with galactosaemia.